Rock of Cashel - Legend associates the Rock of Cashel with St. Patrick, but the name comes from Caiseal, meaning "stone fort". There is some evidence of burials and church buildings from the 9th or 10th century, but it was in the early 12th century that the Rock began to be developed into a major Christian center. 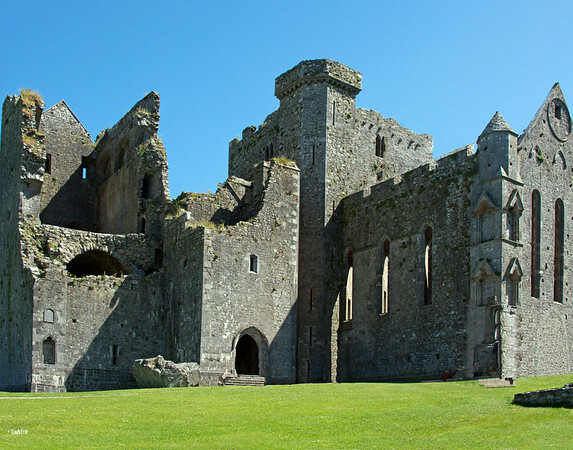 6/17 - Rock of Cashel - Legend associates the Rock of Cashel with St. Patrick, but the name comes from Caiseal, meaning "stone fort". There is some evidence of burials and church buildings from the 9th or 10th century, but it was in the early 12th century that the Rock began to be developed into a major Christian center.